NEW YORK (Reuters) - The U.S. dollar rose toward a 16-month high against the euro on Friday as falling equity prices spurred a flight to quality and the U.S. Federal Reserve reaffirmed its monetary tightening stance, citing the strong U.S. economy. The S&P 500 <.SPX> fell more than 1 percent, with shares of large technology, industrial and material companies taking a hit as weak Chinese data and a slide in oil prices raised concerns about global growth. Against the backdrop of a multi-billion dollar trade dispute between Washington and Beijing, Chinese data showed producer inflation fell for the fourth straight month in October on cooling domestic demand and manufacturing activity, while car sales fell for a fourth consecutive month. "(Chinese officials) look distressed - they don't have the kind of control we're used to assuming authorities driving an economy at 6-7 percent a year do. That's putting pressure on the Aussie, Kiwi and feeding into a strong dollar and yen," said David Gilmore, partner at FX Analytics. Equities also fell after the Fed on Thursday reaffirmed its plans to hike interest rates in December and beyond. The greenback had fallen broadly following U.S. congressional elections on Tuesday on expectations that the outcome would make further fiscal stimulus measures unlikely. But the currency bounced back, and on Friday returned to outperforming most major currencies, underpinned by the robust U.S. economy and rising interest rates. "We're wary of selling the dollar too soon, because the Fed is still hiking rates into a tightening labor market and trade tensions haven't gone away," said Kit Juckes, chief FX Strategist at Societe Generale. 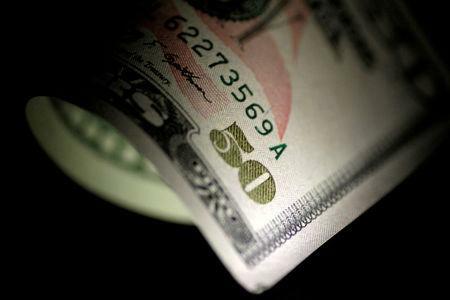 The dollar has benefited as rising U.S.-China trade tensions boosted demand for safe-haven investments, pushing the offshore Chinese yuan toward 7 per dollar and the euro toward $1.13 . In Japan, where interest rates are expected to stay extremely low, the yen is near a five-week low against the dollar, last at 113.75 yen, and has fallen 1.6 percent over the last 10 trading sessions. The dollar index <.DXY>, which tracks the currency against six major peers, traded as high as 97.01 on Friday, not far from a 16-month peak of 97.2 touched on Oct. 31. The euro last traded at $1.133, down 0.26 percent. Sterling extended its losses on Friday after Jo Johnson, a junior transport minister, resigned from UK Prime Minister Theresa May's government, citing her "delusional" Brexit plans, and called for another referendum on Britain's EU membership. The currency was down 0.54 percent at $1.297 from around $1.304 before the announcement from Johnson. On Friday afternoon the Mexican peso strengthened by 0.3 percent to 20.13 versus the dollar after the country's President-elect, Lopez Obrador, said he would make no changes to the legal framework of the financial sector.